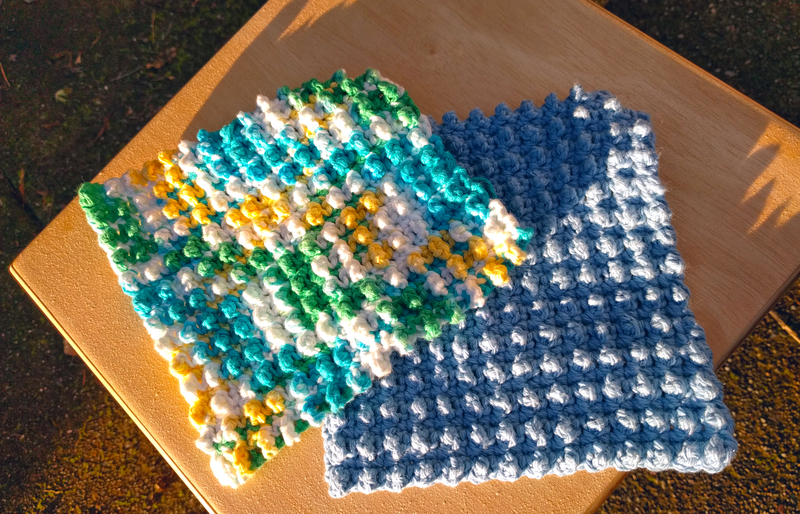 These will both be gifts, but I’m happy to take custom requests for washcloths! 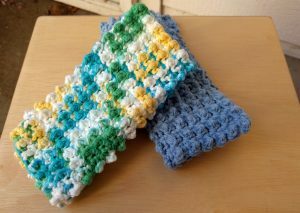 For my fellow crocheters who’d like to try their hand at these easy-peasy-lemon-squeezy washcloths, check out this pattern for Nubbie Scrubbies at Simple Sweet Yarn’s website. 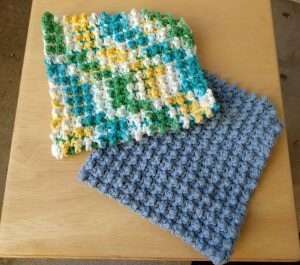 [Note that I’ve adapted this pattern slightly for the washcloths pictured]. I recommend practicing the treble crochet stitch if you haven’t tried it before. 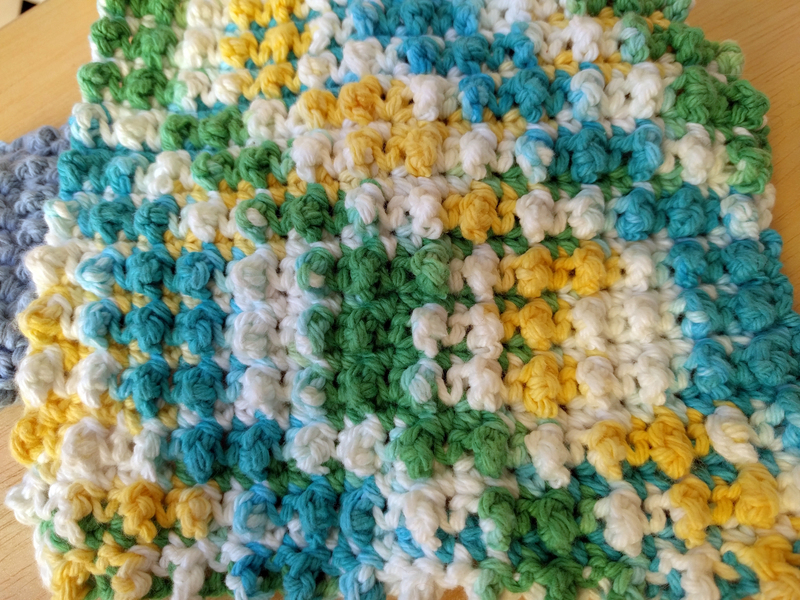 I used Lily Sugar’n Cream Solids 100% cotton yarn for this project. « Learning to knit. 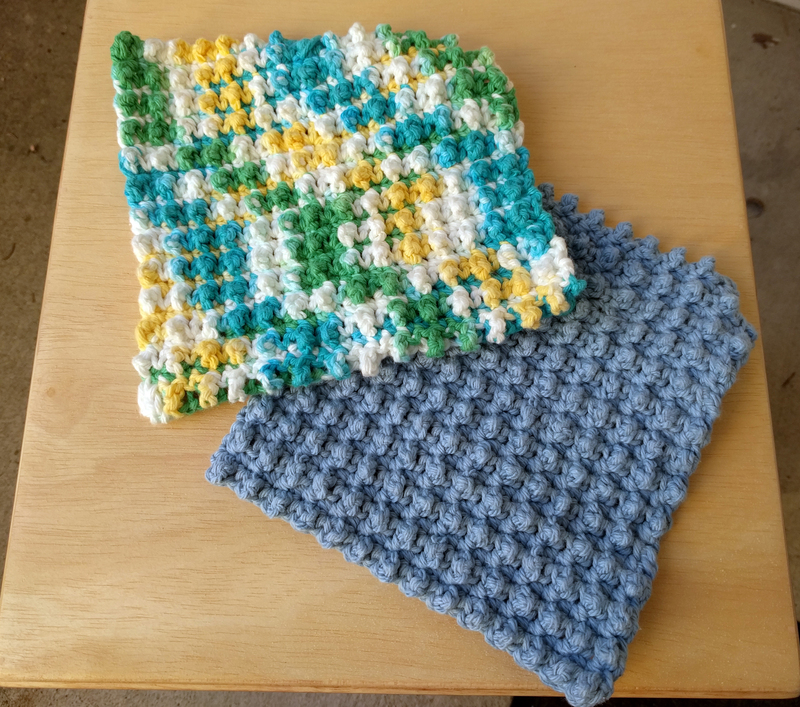 First garter stitch scarf!